What the Heck is AR/VR/MR Anyway? 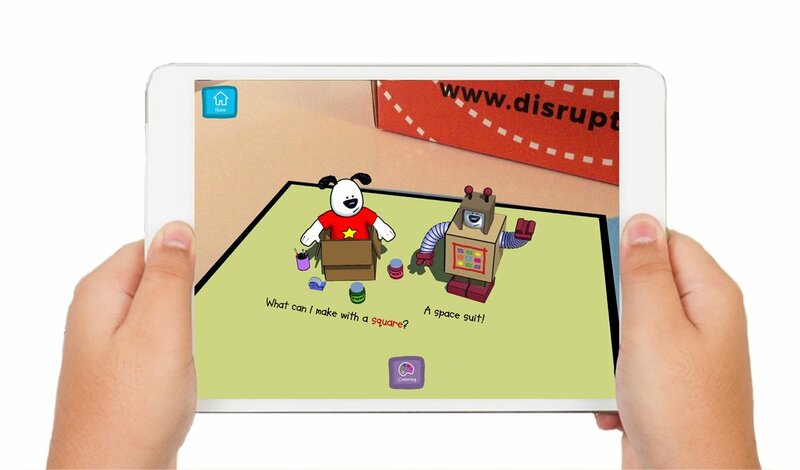 A big question we hear a lot at disruptED is, “What the heck is this AR/VR/MR stuff anyway?” Great question! This post is here to provide some answers. Read on to find out! VR, or virtual reality, is a relatively straightforward concept to explain. It requires the use of a headset (either connected to a computer or standalone) and oftentimes two handheld control wands. When using VR, your entire field of vision is taken up by the headset display and you’re unable to see your real surroundings. This allows the user to be completely immersed in a digital world. Users can swim with dolphins, fly with dragons, and save the day with superpowers! Keep in mind, the quality of the experience will be different depending on the equipment used. Headsets that are connected to a PC will always offer the best experience since the processing workload is done by a computer, so the image resolution is extremely high. All of these systems use some form of external motion tracking through sensors to let the user move around in the virtual space. The HTC Vive, Oculus Rift, and Playstation VR are all examples of connected equipment. Standalone systems are just that, standalone. They don’t require a connection to a PC - all of the computing and motion tracking is done within the device itself. The quality of the experience varies quite a bit with standalone VR, but it’s come a long way in just a few years. Your options here are to either slide your smartphone into a headset shell or use an all-in-one headset. Systems that require a phone include Samsung Gear VR, Google Daydream View, Google Cardboard, and any number of cheap shells you can find on Amazon. Oculus Go and the Lenovo Mirage Solo are two examples of standalone systems that house both viewing lenses and hard drives for content storage. AR brings digital characters, images, etc., into your world. With AR experiences, you can see the entire solar system…right in your living room! Unlike VR, AR doesn’t take you into a new world; it enhances your existing world with digital elements. AR experiences usually have something in the real world that they use as a target for their animations. For example, Merge uses a cube that triggers their animations, and we have our books! MR is very similar to AR. You can still see your surroundings, and your real world is spruced up with virtual characters and art. However, while AR uses a physical object to trigger a virtual animation, many Mixed Reality experiences don’t need any physical trigger at all. Most MR experiences ask you to first scan your room, so they can understand what your world is made up of. This way, when they place virtual characters in your world, they can be “anchored” to specific parts of your home. Digital aliens come crashing through your walls, and helpless virtual robots can fall right off of your dining table. All because MR experiences understand the physical space around you. Some examples of AR/MR headsets include Microsoft Hololens, Magic Leap One, and the Acer Mixed Reality Headset, though there are many others out there (of varying quality). Here at disruptED, we are so excited to reimagine education using both VR and AR! While VR lets children dive into the world of their favorite books, AR brings those same characters out into our real world. The interactive elements of both allow students to learn on a deeper level, while allowing parents to decide how deeply they want to let their children get immersed. And with MR being the newest kid on the block, we can’t wait to cook up some crazy MR adventures for your favorite disruptED characters soon! The world of virtual and augmented/mixed reality is an exciting one, but it can get confusing at times. Things change fast in this space and it can be tough to keep up. We hope we were able to at least provide you with a good primer on the fundamental concepts behind this crazy cool technology. Keep a lookout for more posts from us breaking down all this new tech, and the best ways to use it!